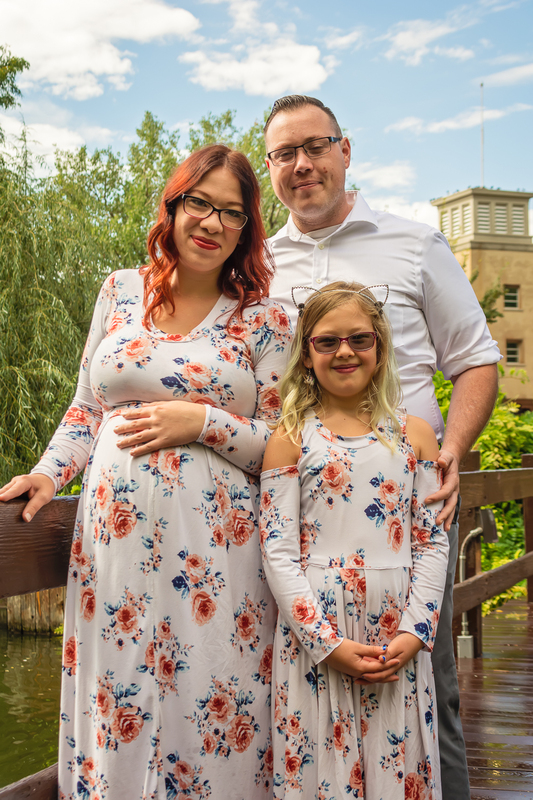 We met at the UNM Duck Pond on a late September morning to take Rebecca’s maternity portraits, and after waiting out a freak New Mexican rainstorm, we got some amazing photos! This group was so patient with the weather, and it really paid off. Before I sign off, I just have to share that Rebecca actually made her gorgeous maternity dress, and Adoli’s matching one! I’ve sewn with jersey knit- the fabric their dresses are made of- and it is tricky! I was mightily impressed with the job she did on them!